In races for Congress, some Jewish incumbents at risk – J. The Senate could go either way. Hopes are dimmer in the House. And Eric Cantor may at last have company. At least that’s the conventional wisdom on how Jewish lawmakers will do in November. 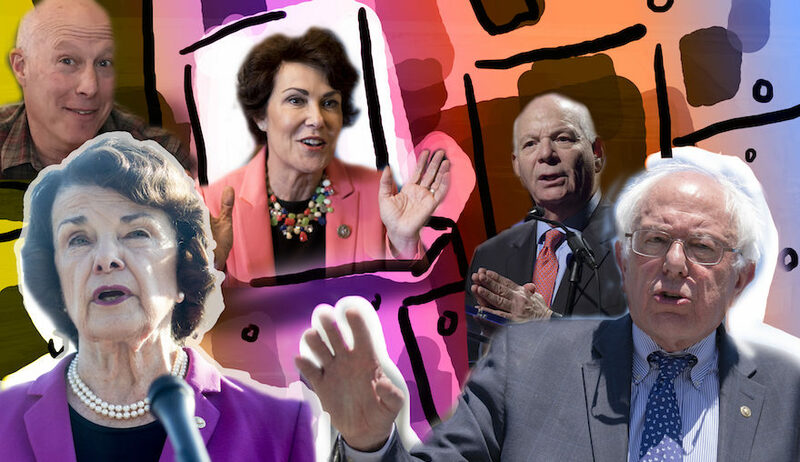 If Jewish candidates sweep all the Senate races in this midterm election year, the Jewish total in the upper chamber would jump from 13 to 18. But with tight races in California and Wisconsin dogging incumbents, the number of Jews in the Senate also could drop to 11. Here is a preview of the congressional contests involving Jewish candidates ahead of the November vote. 20 months ago to fill the Senate seat vacated by Ken Salazar following his appointment as Secretary of the Interior. In defying the anti-incumbent trend, Bennet picked up 54.7 percent of the vote, and Romanoff called him to concede less than an hour after polls closed. Bennet will face Republican Ken Buck, who has the backing of the Tea Party, in the November election. In the primary campaign, both candidates were outspoken in their support for Israel and on isolating Iran. Bennet’s mother is a Holocaust survivor, though Bennet did not acknowledge his Jewishness until recently. Romanoff did not shy away from his Jewishness and was a Wexner fellow. Connecticut: The state’s attorney general, Democrat Richard Blumenthal, has overcome questions raised by the New York Times about how he characterized his Vietnam War experience. In some speeches throughout his career, he appeared to describe himself as a veteran of the war’s battles, although his service was on the home front. His campaign pushed back hard against the Times reports, showing that in other speeches he made the distinction clear. He is polling well ahead of Republican Linda McMahon, the former CEO of World Wrestling Entertainment, who easily won an Aug. 10 primary. McMahon has dealt with controversies having to do with a colorful career in wrestling, but her campaign has been peddling Blumenthal’s Vietnam discrepancies. If Blumenthal succeeds the retiring Chris Dodd, also a Democrat, he will join Sen. Joe Lieberman (I-Conn.) in making Connecticut’s Senate representation all Jewish. New Hampshire: Rep. Paul Hodes’ win in the 2006 Democratic sweep of Congress was seen as a sign that New Hampshire was moving from mixed purple to Democratic blue. Now he is seeking the seat of Judd Gregg, the Republican incumbent who is retiring, and is facing an uphill battle: New Hampshire is leaning a redder shade of purple this year, with majorities opposing the health care reform bill passed in March. Hodes faces no real opposition in a Sept. 14 primary, but he trails two of the four candidates running for the GOP nomination by substantial margins. Democratic heavy hitters who helped elect Obama to office already are in the state helping Hodes campaign. Ohio: Lt.-Gov. Lee Fisher, a Democrat, is putting up a battle against Republican Rob Portman in the race to succeed Republican George Voinovich, who is retiring. Portman, a former U.S. trade representative who is close to the state’s Jewish community, has raised substantially more funds than Fisher, but the Democrat remains neck and neck in the polls. Fisher has won statewide office twice — as attorney general and as lieutenant governor in 2006 — and nearly took the governorship in 2000 in a year when Republicans were favored. Arizona: For a time during the spring, Democrat Rodney Glassman looked like a contender. Sen. John McCain, the incumbent and Republican presidential candidate in 2008, faced a serious primary challenge from former Rep. J.D. Hayworth based on McCain’s earlier backing for immigration reform. Hayworth had the backing of immigration hard-liners and Tea Party insurgents. In recent weeks, however, McCain has pulled well ahead of Hayworth, and pundits see that momentum propelling McCain to a sixth Senate term. Democrats say Glassman, a former Tucson vice mayor, is still worth watching. Only 32, he already has put together an impressive CV: Glassman founded a nonprofit for children’s causes at 23, and serves on a long list of charitable boards; he turned around the family business, an ice skating rink, and sold it for a substantial profit; he has funded much of his own campaign; he’s a reservist in the Air Force Judge Advocate (JAG) program; and as an aide to Rep. Raul Grijalva (D-Ariz.), he worked to bring the Jewish and Latino communities closer together. 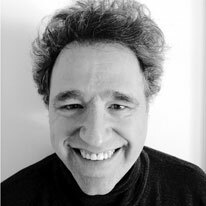 On the state’s signature immigration issue, Glassman opposes a recent controversial law that expands police power to arrest illegal immigrants. California: Vying for a fourth straight term, Democratic Sen. Barbara Boxer is facing a close fight in November, suffering from the midterm swing against incumbency. Polls following Boxer’s race against Republican Carly Fiorina, the former Hewlett-Packard CEO, have been swinging back and forth, the result of a state rattled by near-bankruptcy and climbing unemployment. A Field poll released last month found Boxer supported by 47 percent of likely voters and Fiorina backed by 44 percent, a gap within the poll’s margin of error. The two candidates announced last week their first debate will be Sept. 1 at Saint Mary’s College in Moraga. Wisconsin: Like Boxer, incumbent Democrat Russ Feingold is facing a close fight, due in part to an anti-incumbent mood throughout the country. In a race he was almost guaranteed to win a few months ago, Feingold is now in a virtual dead heat with his opponent, Republican Ron Johnson, a plastics executive. Republicans still haven’t forgiven Rep. Gabrielle Giffords (D-Ariz.) for taking what they believe should be a GOP stronghold in her Tucson-area district in 2006. She trounced her opponent in 2008 but is taking no chances this year against whichever of four contenders wins the GOP’s Aug. 24 primary. Giffords has sharpened her criticism of the Obama administration’s immigration enforcement policies and has raised more than $2 million in cash. Democrats still count Rep. Ron Klein (D-Fla.) as likely to retain his South Florida seat, which he wrested from years of GOP control in 2006. In 2008 he defeated his current opponent, Allen West, by 8.5 percentage points. However, West — a retired Army lieutenant colonel seen as one of the GOP’s best chances to reintroduce a black Republican into Congress — has hammered Klein in this heavily Jewish district by going after Obama over his recent tensions with Israel over settlements. 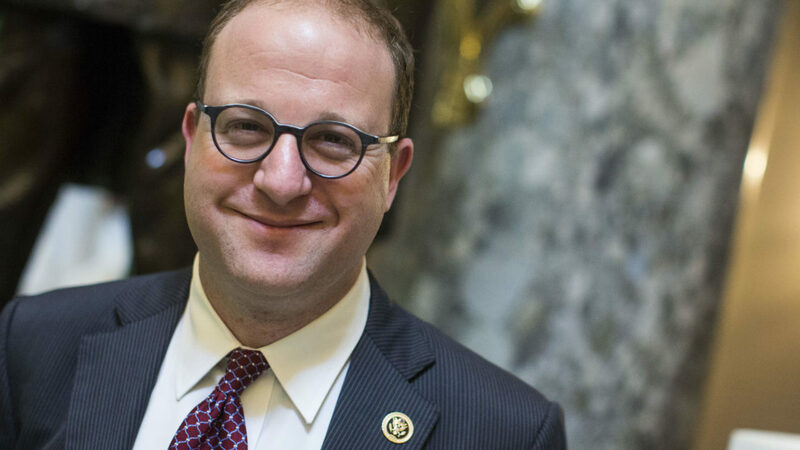 It might help Klein that he is one of the more hard-line Democrats in Congress when it comes to Israel, and has distanced himself from Obama’s Israel policies. Rep. John Adler (D-N.J.) faces similar challenges in his southern New Jersey district, but without Klein’s advantage of not being close to Obama. Adler in 2008 was one of the first candidates in his campaign to endorse Obama as a presidential candidate. Insiders say that’s hurting him in a district that includes a heavy Orthodox Jewish representation in towns like Cherry Hill. Some Democrats have described Adler as facing “Jewish tea parties” when he speaks at synagogues. GOP insiders, however, are not so sanguine that their candidate, Jon Runyan, a former offensive tackle for the Philadelphia Eagles, is mounting a credible challenge; Runyan has lagged in fund raising, they say. Like Giffords and Klein, Rep. Alan Grayson (D-Fla.) is a target because his Orlando-area district is seen as naturally Republican — but put Grayson under the “more so” column. He has become a lead Democratic bomb-thrower, calling Republicans “Neanderthals,” describing the GOP health care plan as “dying quickly” and calling the health care crisis a “holocaust.” (He later said he regretted the Holocaust allusion.) Grayson is a favorite of the party’s “net roots” and has raised $1.4 million, much of it from small donors. Similarly, whichever of six candidates running in the Aug. 24 GOP primary is likely to mine Republicans eager to send Grayson home. Three Jewish challengers are seen as competitive in November: one Republican, and two running for the same seat. Randy Altschuler, an electronics recycler, has outraised incumbent Rep. Tim Bishop (D-N.Y.), $2.8 million to $1.1 million, according to the Center for Responsive Politics, making him competitive in November in the district that covers Long Island’s eastern tip. “He’s a terrific candidate and a real rising star,” said Matt Brooks, who directs the Republican Jewish Coalition. “I look forward to him joining Eric Cantor,” the minority whip who has long been the House’s only Jewish member. Rep. Patrick Kennedy (D-R.I.) is retiring, and two of the four candidates running in the Sept. 14 Democratic primary are Jewish: David Segal, a state representative, and Providence Mayor David Cicilline. The seat is considered a Democratic shoo-in.